Digital designs for a digital world! Join Us for Our Digital Summer Sale! 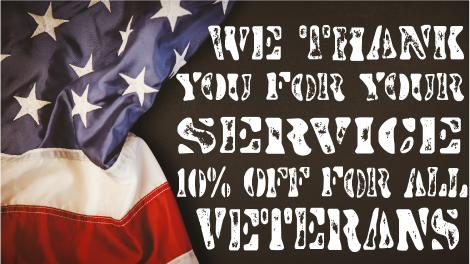 We proudly offer all active-duty, reserve and retired status members of our Armed Services 10% off! KBS was designed on the premise of building extraordinary websites that bring your company and its products to life visually. We want the world to see your business as you do. Let us create the visual representation of you and your business. We have a simple 5 step process when it comes to building a website for you and your business. We do all the work and save room for your creative input to be able to deliver a final masterpiece to you that you and your customers will love. Your businesses identity plays a crucial part in how successful you will be. Let KBS be the ones to assist you in branding your company with a phenomenal easy-to-navigate webpage, and a relevant logo. Branding is everything when starting a new business and we are at the forefront of marketable research to determine what style will work best for you and your business. At KBS we take the time during our interview process to get to know you as a customer and determine what content would be the most accurate to use for your business. While we are doing the “interview” we have you fill out a form with some general information about your company and its mission so we can better use this to strategize on which content we should apply to your business. At KBS we pride ourselves on our creativity. This is where we will use our talents to design you and your company your very own logo inspired by you or the products you offer. Our goal is to design a logo for you that will catapult your business to the next level. We gather some general information from you about your mission statement, region, and your products to get a feel for what we believe would be an ideal logo for you and your company. Once we get the green light, you sit back and let us do all of the work for you. We have several basic premade iconic logos to choose from, and all of those are fully customizable in the colors of your choosing. KBS knows that you may at some point need to alter, change or reinvent your image. We offer follow up editing at a highly discounted rate all charged by the hour. Check out our pricing page by clicking here. Or you can get a personalized quote by clicking here. At KBS we kick things off by interviewing you to get a feel for what you are looking for. We will then dive into more details helping give us the vision to paint the picture of what you need and what you want for your business to succeed. Armed with these details we can design you a website that will surpass all of your expectations. Next we will design your website. We will come up with some different options for the look, flow, and functionality of your website. After we have designed your site we will meet back with you to walk you through the direction we envision and give you a chance to make some choices on style. Once you have made your choice we move on to build! Now is the fun part. You sit back and sip your favorite drink while we pour our heart and soul into building your stake in this technology driven world. We will get your site fully functioning and ready for the final step, your final review. The final review is your chance to make sure we have met and exceeded your expectations and built the website that will bring success to your business. During this process we will make minor changes to colors, styles, copy, flow and anything to ensure you are 100% satisfied with the final product. Its Launch day! We will get your site up on the web and help you to tell the world about it. We will also walk you through how to access your website and how to make minor changes to it. Website creation and maintanance of small startup companies to Billion dollar corporations. 10+ years of design and digital marketing experience. 20 years of web security and web hosting experience. 10+ years experience converting large companies into technology companies. Years of leading projects on limited budgets and short timelines. 10+ years of sales and marketing experience. Many… Many… Winner! Winner! Chicken dinners!